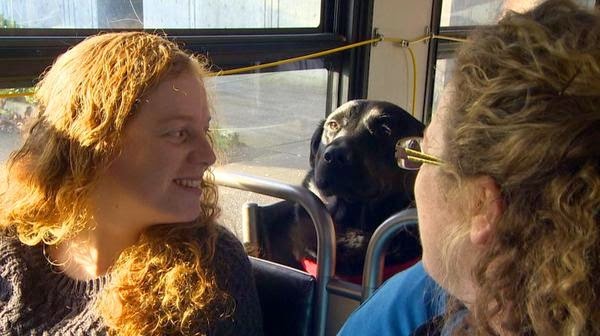 Eclipse is a 2 year old black labrador, resident of Seattle, and when her owner was slow on getting on the bus to the dog park, she decided to just go ahead on her own. Eclipse usually goes with her owner, but one day he was too slow for her liking, so she got on the bus and got off at the dog park. Luckily, one bus stop is right by their house and the other right at the dog park. Her owner catches up with her at the park - and then they do it all again. By now, all the buys drivers know her, and the commuters enjoy the company - even though some don't understand at once why she's so eager to look out the window. Eclipse needs to keep track of the surroundings, so she'll know where to get off.